Being of modest means, in the past I have shamefully bought comics due to page count alone. Quantity counts when strapped for cash and I’d usually choose comics with a bit more meat on their bones. Although I’m slowly collecting Hellblazer trades they’d always be at the top of my list when they came out due to their huge wodge of pages and densely written style that would take me a few weeks to chew through. Recently being a little bit more financially relaxed and delving deeper into the small press and independent scene I’m discovering more often that the best comics can be both beautiful and brief. 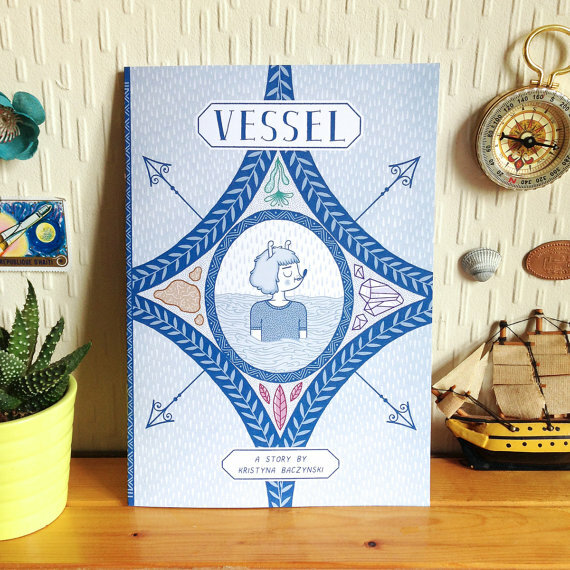 Vessel is an independent comic from Leeds artist Kristyna Baczynski. It stars an unnamed protagonist who completes her education and finds herself immediately stuck in an all too familiar procession of banal and ultimately interchangeable jobs. Baczynski captures the feeling of quiet mundanity here perfectly in a series of repeated patterns, her character stood in the same pose and expression in each and every one, with only the hats name badges changing. She finally realises after what could be years of these jobs that her own inaction, that she has to make her life happen as she rushes out into the world. While the subject matter is as well travelled as her heroine by the end of the comic, Baczynski’s unique voice and artistic style ensures she still has something fresh to say on the matter. It’s powerful and deeply affecting, especially to someone like myself who might be realising that life doesn’t happen on it’s own. Baczynski’s artwork in general is stunning and he unique style and strong playful lines are used to great effect in Vessel. Her pages are both expansive and intricate when needed and filled with delightful little details and flourishes. One element in particular is her use of water to illustrate and express some of her themes. Referring to the title, our protagonist imagines herself as a vessel filling up with knowledge. 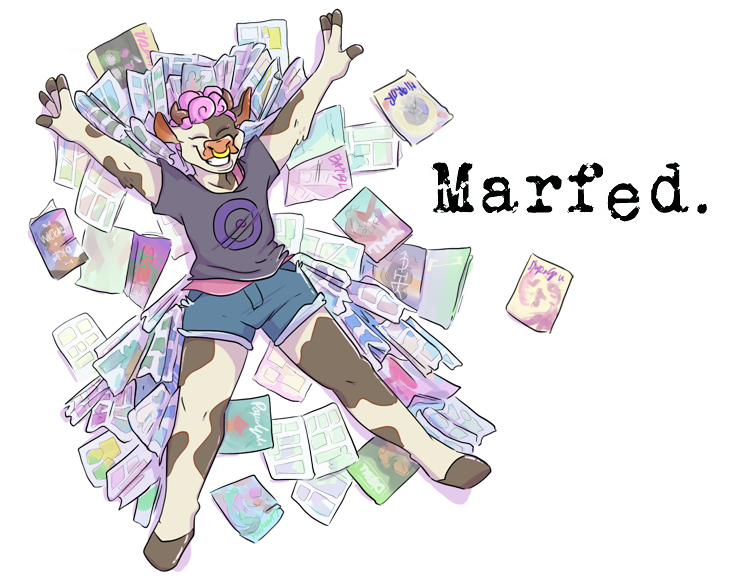 Eventually the central character finds her own meaning, filling her life up with all the desperate pieces around her to make a whole.The second instance is drawing her character with waves moving around her, brilliantly expressing the idea of life happening and time moving around you, waiting for something to happen rather than living in the now. Before her travels her life is restricted to single pages and panels before opening up to widescreen, cinematic double spreads. At the start of her escapades, on the first double page spread, our adventurer stands elated, poised and thrust forward at the edge of a cliff. As she leans forward your eye is deliberately drawn across the page to the wide open landscape. It gives the comic a strong feeling of action and forward momentum, conducive to a story about travel and adventure. It’s definitely worth noting the clever and effective colouring she employs in Vessel, using a limited palette throughout. The pages are all blue until her epiphany and setting off into the world, when colour is literally added to her life. Subsequent pages limit themselves to three colours per double spread until the very last one showing the traveller with her collection of trinkets which combines all of the colours from the previous pages. It perfectly illustrates the accumulation of her encounters.The physical objects show a patchwork of experiences made manifest in “a collage of passport stamps, trinkets and anecdotes”. 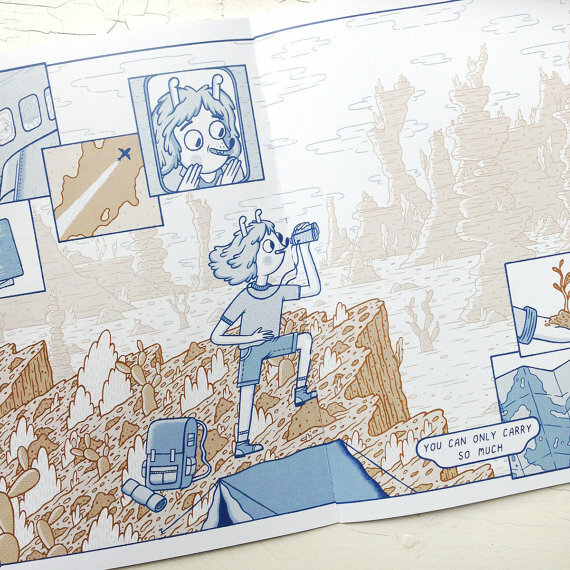 Baczynski deftly condenses a sense of a lifetime of travel and experiences into such a short comic, with the last few pages showing objects from her travels, skilfully hinting about unseen adventures.Care has been taken to ensure that Vessel itself could join those prized possessions, being risograph printed on thick glossy card stock, and hand stapled. Showing it to my partner he enjoyed it and liked the artwork but wasn’t quite as taken with the romanticism of travel or the thought of leaving it all behind as I was. While it’s extensively about travel, I think it prevented him from seeing the much larger point this story makes. The beautiful and touching message at the heart of this comic, of having a rich, full life well lived. I think, giving it another shot, he’d really appreciate what Baczynski depicts here, of being able to look back as this messy, cluttered life and feel content. 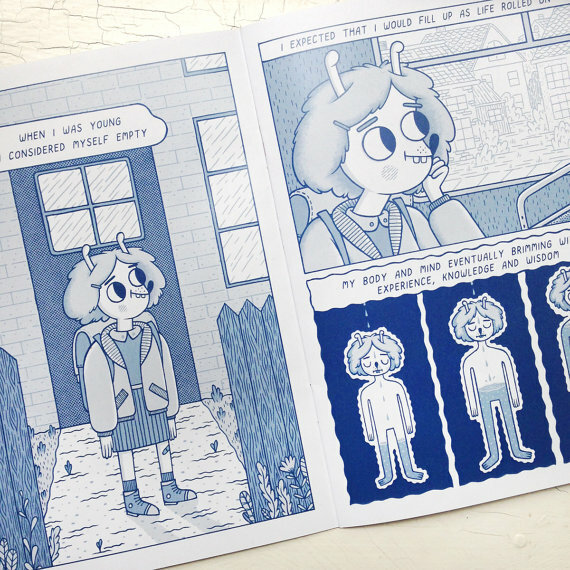 While the travel and exotic locations give the comic it’s quick pace and momentum, as well as showing of the artists skills, allowing her to draw far flung vistas and even alien looking worlds, it also visually emphasises a point of encouraging us to get out there and open ourselves up to new and enriching experiences. As the protagonist tells us “This might be wisdom, I don’t quite know”.